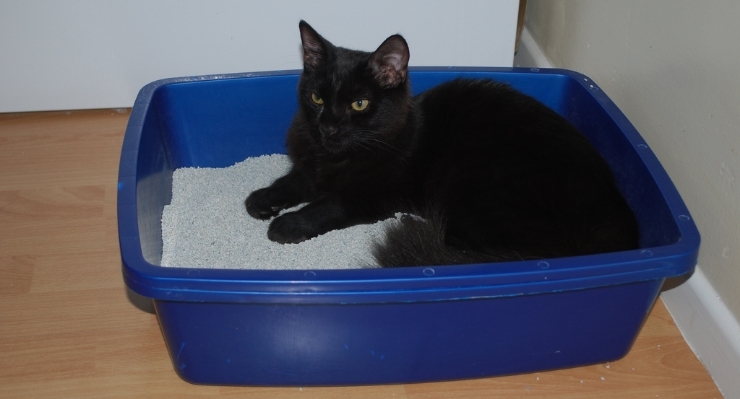 The importance of keeping a clean litter box can’t be understated. I’m sure I don’t have to tell you this, but soiled cat litter has a potent smell! When I was growing up, it was my brother’s chore to take care of the litter box — so naturally, it always reeked. I have become keenly aware of litter box odors and have learned a thing or two over the years about taking care of these things before they get out of hand. In this article, I’ll provide some quick tips that might be especially helpful for someone who is getting a new cat. First things first: You should be scooping daily, and cleaning and disposing all old litter weekly. That seems like a basic task — and it is, really — but even Petful editor Dave Baker admits he had trouble sticking to this schedule at first. The importance of keeping a clean litter box can’t be understated. 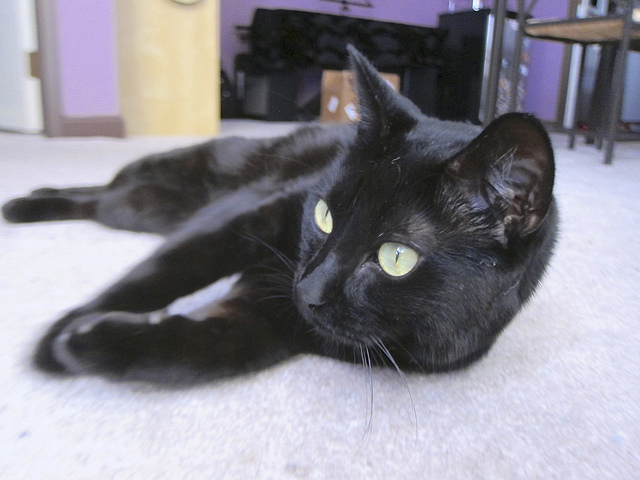 Not only is it important for your pet’s health, but also people can contract toxoplasmosis from cat feces. Humans contract toxoplasmosis from contaminated meats, utensils that have come into contact with contaminated meats, and from cat feces. In many cases cats display few to no symptoms, so you would not be able to tell he was infected until you started feeling like you had contracted the flu. Plus…it smells bad. Really bad. Don’t skip the gloves part. When people get toxoplasmosis, it’s not usually from eating the feces; it’s from bare-hand contact with the feces and then not using proper hand-washing procedures. Plus, let’s be real here — it’s poo we’re dealing with. Right, gloves on. Use a mild dish soap because harsher chemicals are bad for your cat. All those warnings on the labels of bleach and ammonia sprays apply to cats as well. Bleach and ammonia are hard to air out and can get into porous materials. 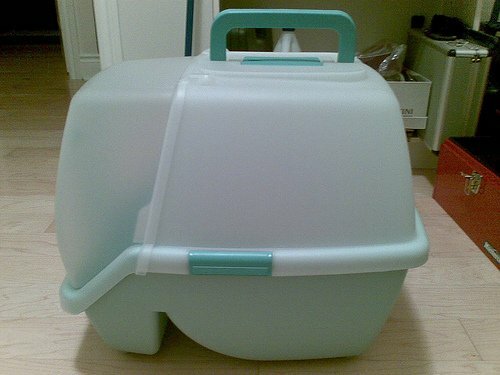 Many litter boxes have a cover, which would only make fumes worse for your cat. A dedicated sponge simply means one sponge that is dedicated to cleaning out your litter box. Sponges are cheap, so I usually just throw mine out once I’ve used it on the litter box. It’s best to bring your litter box right outside for washing. You don’t want to be washing it in the tub or the kitchen sink and risk bacteria getting into food prep areas. Use warm water, your dedicated sponge and the dish soap to scrub the inside of the box well. Rinse the box thoroughly and either towel dry or allow it to dry in the sun. Towels should be laundered between each use. This actually goes for the sponge as well if you plan to re-use it — no matter how much you wring it out, it’s not really clean. What to do with the old litter? Because of the odor, it is not a good idea to toss it into the household trash. I recommend getting a barrel for it and putting it outside right away. Always use fresh, clean litter once you’ve cleaned the box. You can either use a liner or put the new litter straight into the box. Then sit back and enjoy the lack of stink! Well…until your cat discovers his litter box is fresh and clean. Then he will feel obliged to hop in and make it uniquely his own again. We’ve all had that sinking feeling when you see your pet hunch down and you know he is urinating on your floor. Panic, stress and a race to move him elsewhere sets in almost instantly. In other instances, we smell a faint urine odor but cannot find the source. Whether you catch the pet instantly or find it later, urine stains do need to be cleaned if you want to get rid of the odor. Urine can seep through the carpet to the padding and subfloor. Upholstery and wood floors are also at risk of harboring the ammonia-type smell, but there are some solutions to help remove the stain and unpleasant odor. Cat urine is stronger than dog urine because of the protein-rich diet, and the source needs to be found or it will keep creeping up no matter how many deodorizers you spray in your home. No matter the surface of the urine, always try to soak up as much of it as possible with paper towels or a dry cloth. Press on the area to absorb the urine; do not rub it in since this can spread it into surrounding fibers or deeper into the subfloor. There are several cleaning solutions you can use depending on the surface. After drying the urine as much as possible, use a cleaning solution to treat the area. Always test an inconspicuous area first if you are unsure of the effect the solution will have on the carpet (under a sofa or behind furniture where any damage won’t be seen). Rub baking soda and water into the carpet and leave it to dry. Vacuum up the solution when dry and repeat if necessary. This solution is good for surface soiling but may not be best for deep or subfloor extraction. Also use warm water and vinegar if you have it on hand. Using a steam cleaner or renting an extractor or wet vacuum may be effective in removing the moisture and killing the odor-causing bacteria. A cleaner or detergent with hydrogen peroxide is another alternative, but test this on dark carpets as it might lighten some fabrics. Dry the surface as much as possible with a dry cloth or paper towel. Clean the surface with a cleaning solution such as one of those above and pat dry. Use a hair dryer to dry the area starting from the outside of the stain. Some steam cleaners also have accessories or handles for these types of furniture and can be used to kill the bacteria. Just as with carpet, test an inconspicuous area first so you don’t leave permanent damage in a visible area. Urine can seep through the seams of the wood floor and affect the padding or subfloor below. If you have pets, make sure your wood floors are sealed well. In the event of a urine accident, dry the moisture as much as possible. The warm water and vinegar mixture may be best, but any damage may depend on the type of wood you have on your floor. Test a hidden area just as you would with fabrics before applying any chemicals or cleaners. If you are successful in removing the urine completely and it does not return for a few days, consider applying another coat of sealer to your floors to prevent further accidents from getting trapped into the subfloor. After treating the area for stain and odor, you can apply an odor remover. These are usually found in pet stores; look for one that has enzymes in it to attack any remaining bacteria. Be careful not to look for one designed to treat blood stains as these are not as effective on urine odors. You can also use the same homemade remedy for removing skunk odor. If you smell urine but cannot find its source, try using a blacklight to illuminate the soiled area. Even with the above solutions, sometimes the urine is old or trapped so deep into the subfloor that it simply cannot be removed without replacing the flooring. If you do decide to replace your flooring, seal the subfloor well (if installing a wood floor, seal the surface well). Petful editor in chief Kristine Lacoste contributed to this article.